Things have been a little busy over here (once again)! I had an absolute cracker of a weekend though. Amy, Tasha and myself had a little getaway in Edinburgh together (well romantic). Burgers, daiquiris, pasta, a pot of tea at midnight and cooked breakfast (not to mention some hilarious conversations) made for a super 24 hours together! Oh, and we bravely ventured into the Edinburgh Dungeons. Shamefully, I was more terrified than the 7-year-old-girl in our group. I did get spat on by some kind of demon - what a treat. A cannibal also took a liking to my teeth. Quite the experience. Anyhow, I've been meaning to share this jumper for ages. I'm quite obsessed with it actually. It looks perfect with a shirt underneath! These shoes were also an absolute bargain. If any of you are looking for some true bargz head over to Risky Fashion. I think these shoes were about a fiver - incredible, right?! Well aware that I look like a mystical kinda creature here, emerging from some magical mists... alas, they are just curtains. What a shame. Ps. Final days to enter my OASAP giveaway! 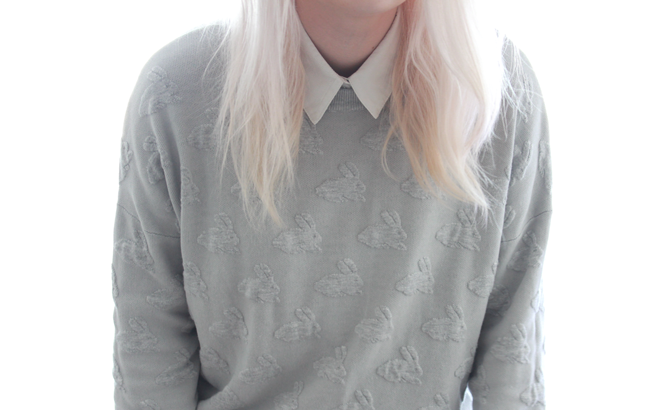 This jumper is too cute! 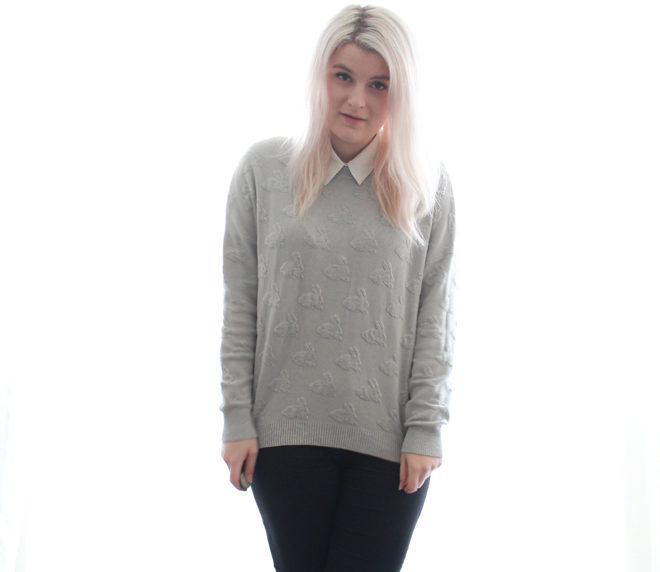 Oo that jumper is so cute! Love the shoes too!